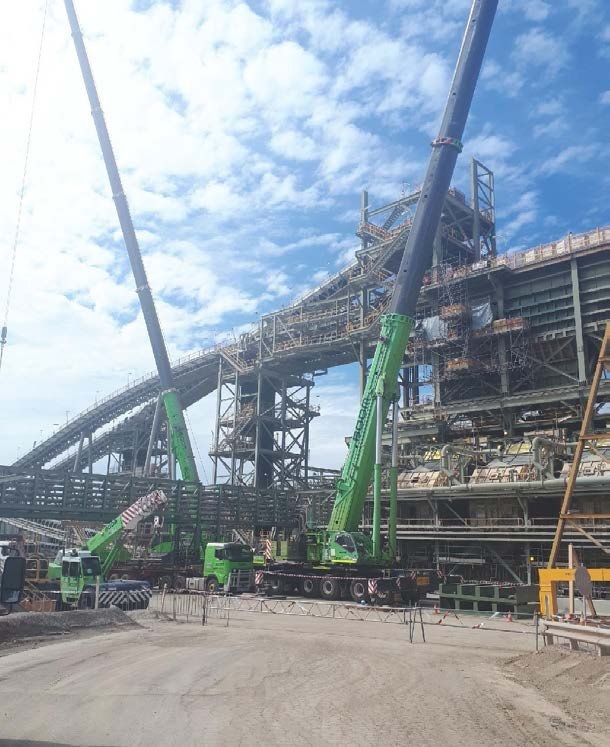 Naval Base has serviced the Newmont Boddington Gold mining operations, providing cranes and associated labour since 2009. Newmont execute three major shut downs every year where they have over 1,500 personnel on site at one time. For the March 2019 shutdown, Naval Base provided 28 cranes and 154 personnel to cover 24 hour operations over one week. The planning for the shut commenced in January which involved recruiting for the surplus crew, scoping the individual work packages and allocating the necessary cranes. In addition to the crane operators and riggers, Boom also provide an onsite administrator, two safety advisors, six supervisors covering day and nights plus two superintendents overseeing all operations. This is a critical time for Newmont, as they rely on their providers to deliver a safe and efficient service to ensure their plant is not shut down for any longer than absolutely necessary. As a testament to how successfully the team executes the crane portion of these major shuts, Boom was awarded Contractor of the shutdown due to our resilience, attitude and problem solving of some critical lifts and nine of our employees received awards for Vital Behaviours during the shutdown. Overall a great shutdown for us, further strengthening our relationship with Newmont.